When contemplating the pitfalls in Indie publishing, we forget at times that pitfalls exist in mainstream publishing as well. 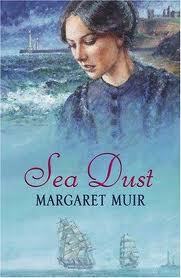 Margaret Muir, author of Sea Dust and four other historical fiction novels, talks about some of these problems and explains why she eventually chose to self-publish. Welcome to Margaret Muir and thank you for doing this interview! Your books (The Condor’s Feather, Sea Dust, and The Twisting Vine, for example) were originally published by Robert Hale in the UK… How were you originally picked up by Robert Hale? Did you seek out an agent or did a publisher find you? Can you describe the process you went through? Ten years ago, apart from journalistic articles, I was unpublished as an author. Having only recently been inspired to write a novel, I joined a rather elite writers’ critique group. This included a couple of multi-published British authors. Having read extracts from my first manuscript, one of these authors (who prefers to remain anonymous), suggested I contact her agent in London. I believe she mentioned my name to him, so when I sent in my sample chapters, after being instructed to make several major changes to the story and its contents, my historical fiction novel was accepted for representation. My own experience was, therefore, similar to Helen Hollick’s – a case of knowing the right people. Once in the hands of the agency, the manuscript (Sea Dust) was submitted to one of the major publishing houses but was rejected. It then went to Robert Hale Ltd, who accepted it for publication. The offer, however, was very nominal, but as a new author, I was over the moon and accepted. Robert Hale is an independent publisher with an excellent reputation-what was it like working with them? Hale Books (London) is a very well-respected and old, established family business. When I joined their stable in 2004, this small publishing empire was overseen by octogenarian Mr John Hale. Working closely with their very professional staff on my first three books was a real pleasure, but staff changes over recent years saw a loss in the previous intimacy and subsequent lessening in standards of the finished product (in my experience). One thing I did not realise, at the time of signing with Hale, was that they were in the business of producing hardback books to supply to the British libraries. These were high-quality publications with commissioned artwork for the jacket covers. But only about 400 copies were ever produced at a commensurately expensive price. Hale Books were never distributed for sale through retail outlets and, apart from sending out a handful of review copies, there was no marketing. Another problem which occurred with this novel was that the agent had held the manuscript back for six months before presenting it. Later the publisher told me I should have followed up on Sea Dust immediately. Heigh ho! I felt I had no control. I was being managed and published but not necessarily to my best advantage. 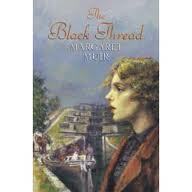 The Black Thread followed in the same publishing style – library copies only. And like, Sea Dust, even though it sold out completely in a matter of weeks, it never went into re-print. In my opinion, the cover image for this hardback was dark and depressing but this was out of my control. Written in the contract was a clause that Hale could retain paperback rights for six months following publication of the hardback. 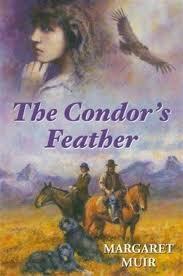 But, at that time, Hale did not follow up with paperbacks, so my historical fiction novels never went any further. By the time The Condor’s Feather was published, the staff at Hale had changed several times and the professionalism from the new young editorial staff was lacking. Edits were not followed through, and review copies were sent to inappropriate locations. Sadly this was only the fault of a couple of staff members, but, for me, it reflected on the company. When and why did you eventually decide to self-publish all of your books? 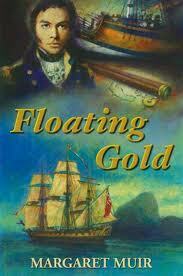 In 2010, my fifth book, Floating Gold, was published by Hale under my own name, but it did not sell well. I had argued with Mr Hale that a seafaring adventure of the Horatio Hornblower style, written for a male readership, with no romance or female characters, would not perform under a woman’s name. He said I had an established British readership (through the libraries) and he wasn’t prepared to let me use a pseudonym. I argued that my female following would not be interested in a classic age-of-sail maritime adventure. Floating Gold was published in 2010 but it went to print with about 150 uncorrected editing errors and performed poorly. Six months after publication, I asked Hale for reversal of my rights and was granted them on all five novels. In my view, all my titles were dead in the water. They had never seen an audience beyond the walls of the UK lending libraries, had never been offered to retail outlets, and never been presented overseas, including the USA. I decided, therefore, to self-publish my books in paperback, not with a view to making money, but to giving my books a new lease on life and letting them breathe again for a while. Can you talk a bit about what you found in the self-publishing world when you started on this path? To use a cliché, as anyone who has ever looked into self-publishing knows, it’s a jungle out there. Dozens, if not hundreds of companies are offering to ‘publish your book’ – but at a cost! And the cost involved can be staggering. I personally know authors who have been stung for thousands of dollars in up-front costs, and, as a result, have thousands of copies of their much-loved masterpiece gathering dust in a garage. It is likely the whole experience has soured their hopes and killed their writing dreams. The advice I would give anyone proposing to self-publish is – do your homework first, and be very wary. This American company will produce books for you as a self-publisher on a POD (print on demand) basis. They even supply the ISBN free of charge. If you only want one book, that’s fine – and you will only ever pay for one book. Nothing more. I can’t speak for Smashwords or Createspace, as I have never used them, but I believe they operate on a similar basis. Books produced by Lulu appear on Amazon, but one must remember that a book on the internet will not sell itself. You must still do your own marketing and promotion. From a physical production point of view, Lulu is relatively simple to follow. There are explicit instructions and templates for uploading your Word document. Creating a jacket cover is as easy as transferring an image from your computer and following a few easy steps. You don’t have to be a computer wiz to do it. Plus, self-publishing gives you full control over your jacket or e-book cover, and with photo-shop programs, you can produce an appealing design which will help sell your book. Once your book is finished (within hours, once you get the hang of it), your only financial obligation is to buy a single copy. If you want to make changes to the book – then you upload your revised WORD document and produce another. Again you must pay for it. But this has to be better than parting with thousands of dollars. What are your thoughts about the quality of Indie and e-books right now? Indie books: Regarding Indie-books, I can only comment on standard-sized Lulu paperbacks. In my opinion the external quality is very good, both in paper and jacket covers. However, the book’s content, the quality of the written word, syntax, presentation of dialogue and paragraphs, and spelling, is up to the author. E-books: Generally, the biggest problem I have encountered with self-published e-books is the poor quality of formatting. A poorly formatted book can be most distracting for the reader. This may deter the buyer from purchasing any other e-books produced by that author. Having self-published in paperback, I then looked at the e-book market and saw the potential. Initially, Belgrave House published my books in various e-formats but, with a few minor edits occurring in this edition, I resolved to republish. I was attracted to Kindle Direct Publishing (KDP), because several fellow authors I know are doing well with sales through this outlet. With this in mind, and not being computer savvy, I opted to use a professional formatter. As with paper publishing, one is again confronted with similar problems. There are companies popping up all over the world offering all manners of file conversion services, and at very varying degrees of cost. Having checked out several companies in UK and US, I opted for http://www.custom-book-tique <http://www.custom-book-tique/> in Canada. For a cost of $125, I can have my Word document formatted to a Kindle mobi-file and upload it to KDP within 3 days. The result is a very professional, and I am delighted. So far, I have uploaded three of my books to KDP and have two more pending. Overall, I would say the finished appearance and quality of indie paper and e-books is greatly dependent on the author and the road he/she wants to take. Do you have any suggestions for authors who are considering self-publishing? I can only re-iterate: do your homework, thoroughly. Visit lots of sites which are offering publishing help, and read other writers’ experiences on blogs such as this. But first, work out what you want as an end result. If you are looking for instant fame and fortune, then forget it. Ask yourself, are you prepared to do your own marketing and promotion? Are you wanting a book produced in a matter of weeks rather than waiting for a year for a publishing house? Do you have money to burn or are you operating on a limited budget? Then there is the question – how long are you prepared to keep submitting manuscripts to agents and/or publishers and being rejected? If you have confidence in your work, have had it well edited and proofread, then I would recommend taking the plunge. Publish your first book and then start writing another. As I said, with Lulu books, promotion and publicity is up to you, but even some of the large publishing houses expect their writers to source reviews and use the social networking sites to best advantage. As for me, by next month, I will have all five of my books published on Kindle with KDP. I am also completing the first sequel to my age-of-sail adventure but, rather than submitting it to Hale Books, then waiting a year for it to be produced and another 6 months before I can request return of my paperback rights, I am about to self-publish in paper with Lulu and with KDP Select as an e-book. Both will be available in September. It is an exciting, fast-changing time in the publishing industry which is offering plenty of opportunities for the writer. Technology is advancing at a rapid rate and self-publishing processes are getting easier. But, keep in mind, a badly written book is still a badly written book even if it appears in a gilt-edged cover. I wish you luck. In conclusion I would like to thank Andrea for inviting me to share my experience on the Queen’s Quill. I would also like to extend my thanks to Bob Tanner, my past agent (died 2009), for giving me a kick start in the industry, and to Robert Hale Ltd for putting my by-line on five books. Thank you for publishing this post about my journey into publlishing. It is not finished yet. Though I will never become famous as a writer, I hope the lessons I have learned can help guide a few new authors along the way. I love your books Margaret! Keep ’em coming! 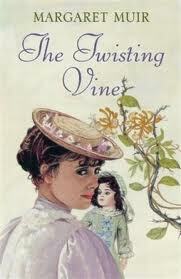 I am a huge fan of Historical Fiction and look forward to reading your work. The problem for me is … I have a Nook and the Kindle format does not work for me. I hope you will consider formatting in pdf format as well in the near future. Floating Gold is also, but this is geared to a male readership. I hope to have my other books available in due course.